Keegan-Michael Key (Key & Peele), Gillian Jacobs (Community), and Kate Micucci (Garfunkel And Oates) have all been cast in Mike Birbiglia’s upcoming dramatic comedy Don’t Think Twice. Written and directed by Birbiglia, who is also co-starring, Don’t Think Twice follows an improv group that loses its lease on its theater. At the same time, one of the team members lands a role on a major sketch-comedy television show that probably won’t be called Saturday Night Live for legal purposes. Bitterness seeps in, and the backstabbing begins when the friends realize they’re not all going to achieve their dreams. If this fictional improv group is anything like a real-life improv group, there will probably be some romantic entanglements. Or, if it’s anything like the improv cult—er, troupe—Todd joins on BoJack Horseman, things will get creepy and weird. 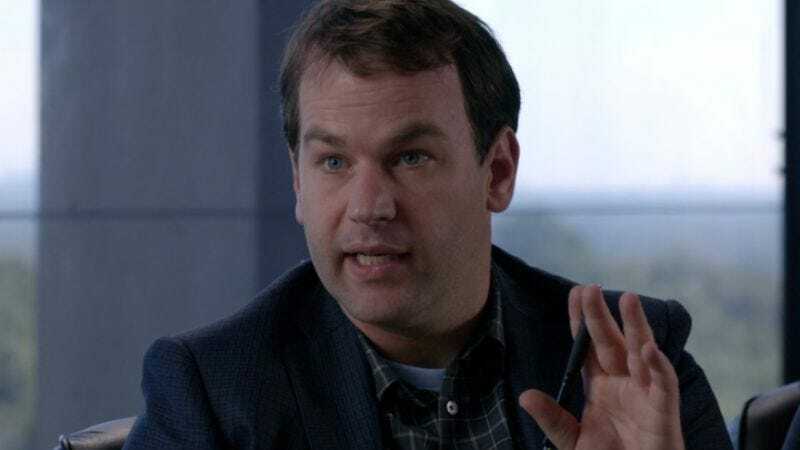 In addition to his film roles in Trainwreck, Adult Beginners, and The Fault In Our Stars, Birbiglia has appeared on television in Orange Is The New Black, Inside Amy Schumer, and Girls. Birbiglia, Micucci, and Key all have backgrounds in improv comedy, and their former improv teammates who didn’t go on to be in movies and on TV probably won’t think twice before skipping Don’t Think Twice.